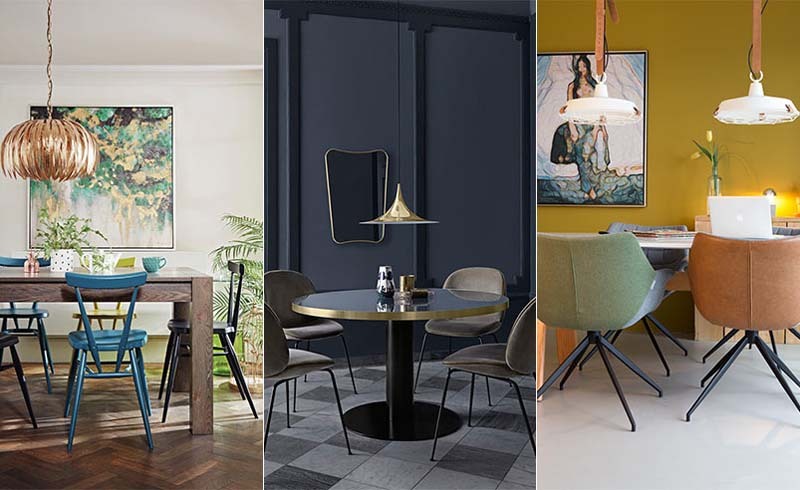 While a small dining room may appear to have limited potential, there is actually a lot you can do to create a stylish and practical space that will impress family and guests alike. Whether you have a separate dining room or just a little corner in your kitchen or living area, these tips will transform your room and make every mealtime feel special. If you don't have enough space for a dedicated dining room, investing in a foldaway table will mean you can set up a dining area as and when required. 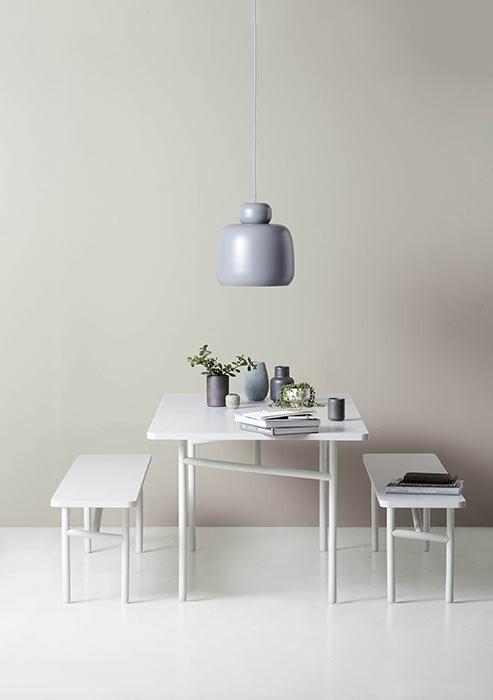 Whether it's just set up for two or fully-extended to host a dinner party, this multi-purpose piece could also double up as a desk space in smaller homes. 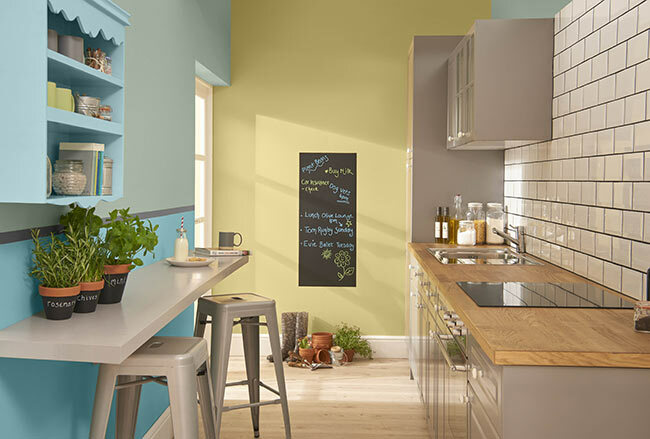 Add impact to a small dining room with bright colours and quirky design touches. 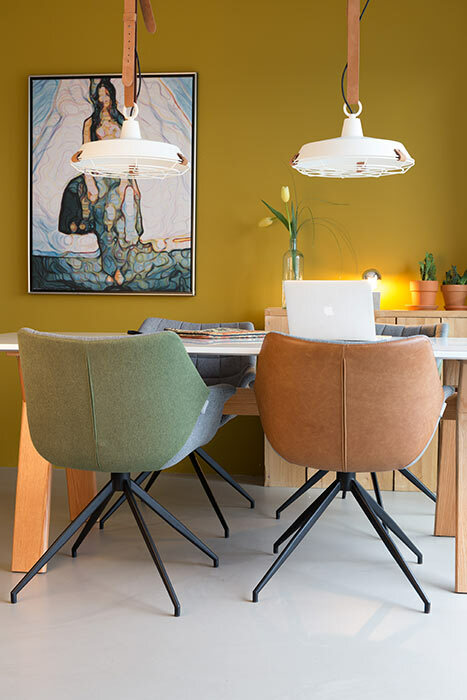 Try dining chairs in complementing colours, a bold shade on the walls and hang artwork on the walls to create a space that will be a real talking point among guests. 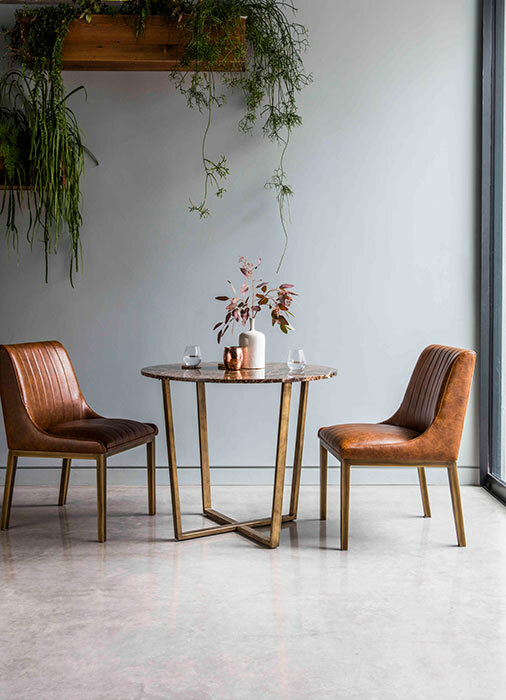 If you don't have the space for a large dining table, a round bistro-style table is a chic and practical choice for couples and smaller families. We love this Troy table and upholstered dining chairs which looks extra-stylish topped with fresh flowers and candles. Benches are a great space-saver in smaller dining rooms. Not only will they comfortably seat guests, but they can also be tucked away under the table after use, so they don't take up valuable floor space. Even if you don't have space for a separate dining room, you can still create a place to eat within even the smallest of kitchens if you think outside the box. A floating shelf can double up as a breakfast bar/ dining table, just pull up bar stools and you have a new place to eat. 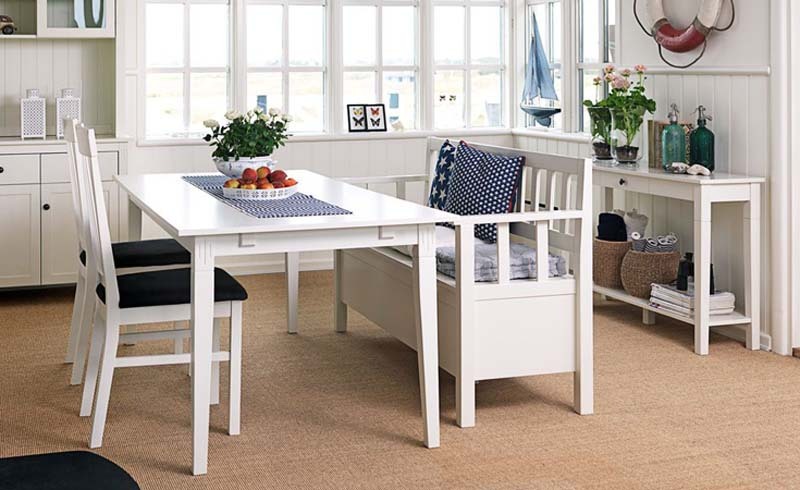 Investing in some quality yet functional furniture is a must for small dining rooms. An extendable dining table is ideal for hosting dinner parties, and can be made smaller to save space when it isn't needed. 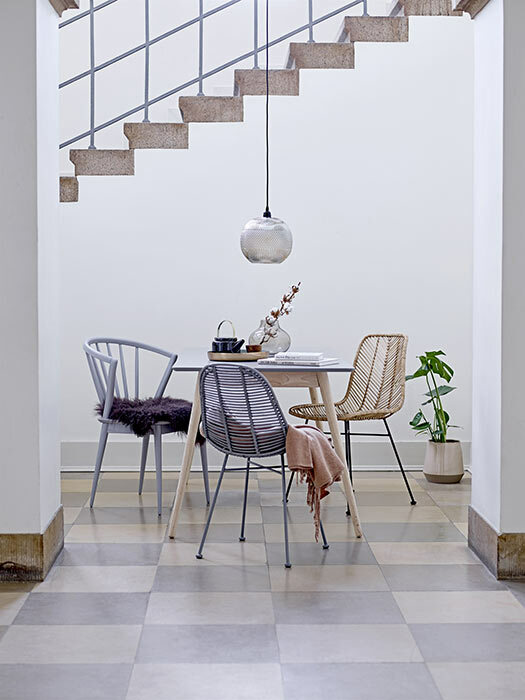 Likewise, stackable dining chairs can be stored away neatly when not in use. 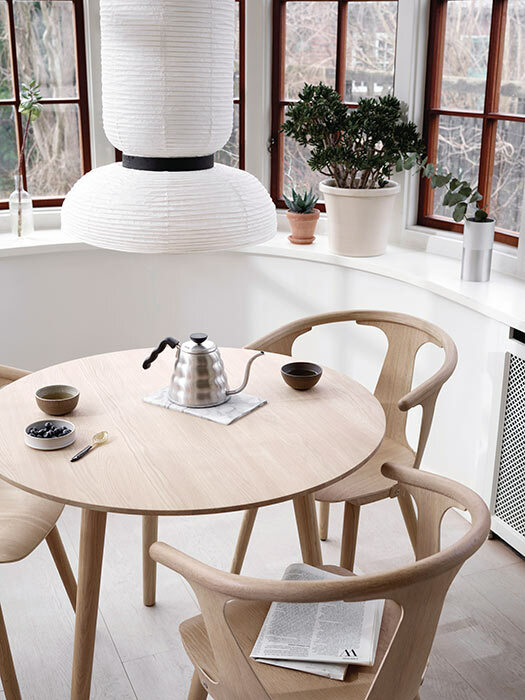 Small dining rooms can still be seriously impressive with the right styling. 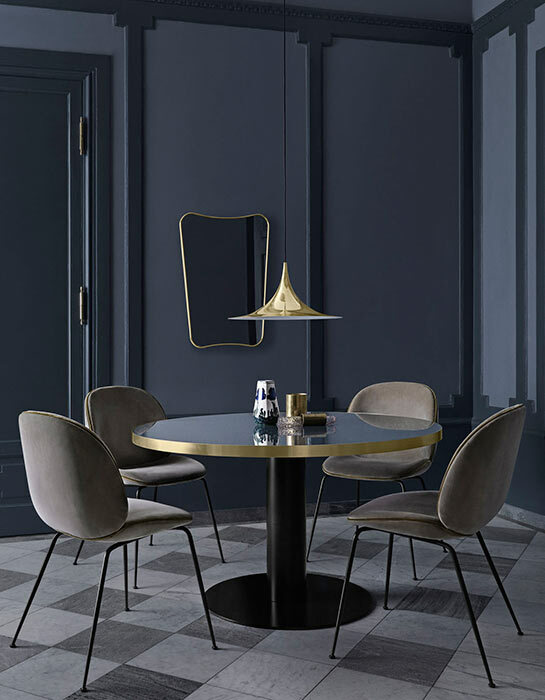 We love these deep blue walls and plush dining chairs, with striking metallic touches. A gold low-hanging light is the pièce de résistance to complete this gorgeous dining room. 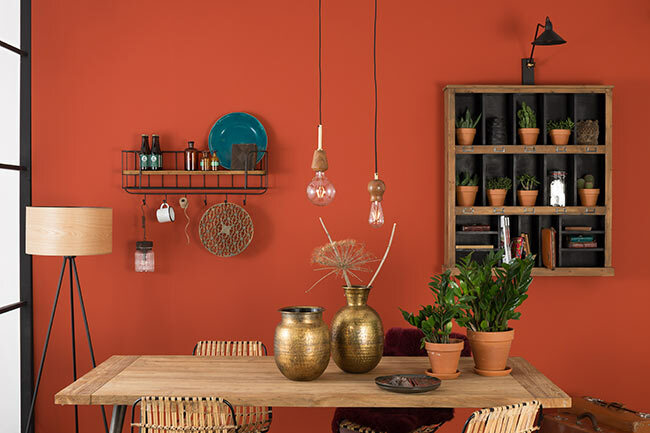 Don't let a small dining room limit you; utilise every inch of space by adding wall-mounted shelving units and storage where you can display plants, ornaments, or simply store condiments like salt, pepper and sauces. Make use of a bay window by transforming it into a dining area. A round table fits perfectly in this space, and has the added benefit of filling the area with natural light, helping to make it feel bigger. Even if you don't have a spare room or space in the kitchen to use as a dining area, it may well be possible to create one elsewhere. Think outside the box and you could make use of another area of your home, such as a large hallway, for a unique dining room.